With the mild winter, this year is shaping up to be a particularly bad one for seasonal allergies in Northwest Arkansas. Even one of my four cats has been sneezing a lot recently. Though his sneezing could from a viral infection, I suspect it has to do with the thick layers of pollen coating everything outside. As a naturopathic doctor, one of my primary goals is to treat the cause of any discomfort versus just alleviating symptoms. Initially, this goal seems hard to accomplish with pollen allergies unless you want to move away from our beautiful region with its wealth of pollen-producing plants, but there are allergy solutions that can keep you rooted in the Ozarks. For instance, you can have air filters in the house to reduce exposure to pollen and other allergens when inside. Another option is using a neti pot for nasal irrigation. With a neti pot, you pour a warm saline solution into one nostril. As the water comes out the other nostril, pollen and other irritants are removed from the nasal passages before they can cause trouble. When working to address the cause of seasonal allergies, I also have to consider why is a particular person is predisposed to allergies. Many of my patients with allergies need immune support. The immune system has several different branches with some that work to fight cancer cells and others that produce antibodies. These antibodies mainly work by neutralizing pathogenic microorganisms, but they also play a crucial role in allergic reactions. Some allergy sufferers have an imbalance immune system that is overact in the antibody producing aspect and underactive in the other areas. To rebalance the immune system, some well-known immune boosting supplements like Echinacea, zinc, and vitamin D can help. While many people might choose these supplements to help fight a cold, few realize that they can also be important allies for seasonal allergy sufferers. I would love to hear if any of you have noticed your cat sneezing. 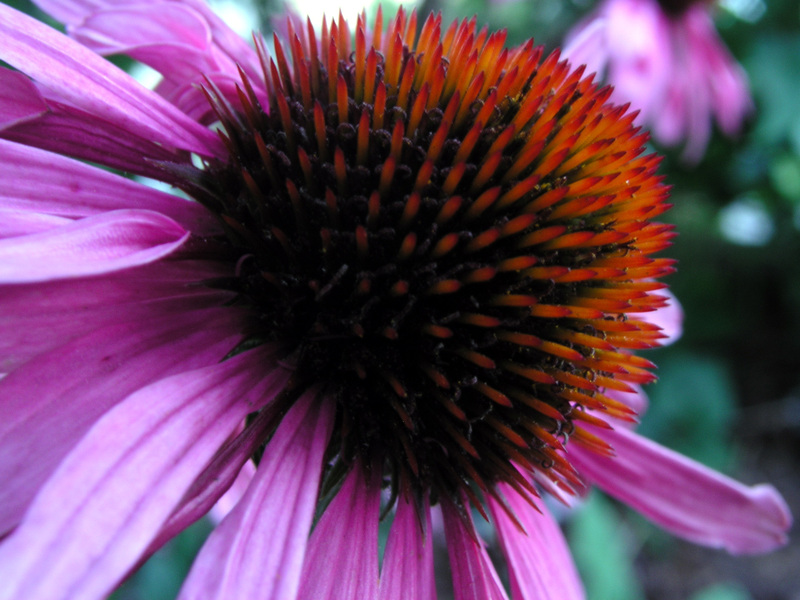 This entry was posted in Health and tagged echinacea, immune support, seasonal allergies. Bookmark the permalink. I just read your comment about your cat sneezing. I have a 4 yr old male cat who started sneezing about 2 weeks ago…It started off with a few sneezes per day, but now it has progressed to sneezing most of all day. I am bringing him to the vet in the morning because he seems to be acting differently than he normally does…he is eating well & I see no abnormal signs in his litter box..he seems to be hiding more & being less sociable..it’s almost like he wants to be left alone..I’m getting a little worried…Hopefully it’s just allergies…he is up to date with his shots also. Poor kitty. I can understand why you are taking him to the vet. My cat showed no other changes than sneezing. I hope he is better soon. I have also noticed that my cat has been sneezing a lot the last few days and seems to be itching at her nose. She has hidden a few times, which is unusual for her, but my husband recently passed away, so I’m not sure if she feels ill, or if she’s uneasy without him around. This does seem to be a particularly bad allergy season, though! I may bring her to the vet so that he can prescribe something for her if she continues to sneeze. Yes, the hiding worries me too. Hopefully it is just allergies and other changes. I have noticed another one of my four cats sneezing occasionally too. Sometimes it is the dust from litter. Switching to a lower dust litter can help. I also really like the book Dr. Pitcairn’s New Complete Guide to Natural Heath for Dogs and Cats. You may gets some other ideas there. Take care of yourself and your furry friend.